Wisconsin groundwater and public water supply systems face rising levels of nitrate, however resolutions to this problem are underway. Nitrates are nitrogen-oxygen chemical units most commonly found in fertilizer that have pervaded Wisconsin water systems. Nitrate and bacteria are among the top causes for the breaching of health standards at public water systems and in private wells. Officials at the Wisconsin Department of Natural Resources look at the systems that are at or above five milligrams of nitrate per liter. The health enforcement standard is at 10. If the nitrate level surpasses the 10-milligram per liter standard, further precautions must be made. Drinking water with this high of nitrate levels can cause both acute and chronic health effects. The health concerns regarding childbearing women and infants are a part of the acute effects of nitrate. There are also chronic effects of nitrate caused by long-term drinking of this water. Preventing and lowering these high levels of nitrate is one of the Department of Natural Resource’s most pressing issues. Nitrate is an acute contaminant and because it is occurring so frequently in Wisconsin groundwater, it is a top priority. “It has been one of our biggest challenges, and we are working on it,” Vollbrecht said. However, although a solution has not yet been achieved, the department has found ways to tackle the nitrate issue. “On the bigger picture scale, like municipal wells and other public water systems, the best possible management of agricultural nitrogen fertilizer is really the solution that we’re after,” Vollbrecht said. There are ongoing practices being used to avoid high nitrate, careful use of nitrogen fertilizer being one of the keys. 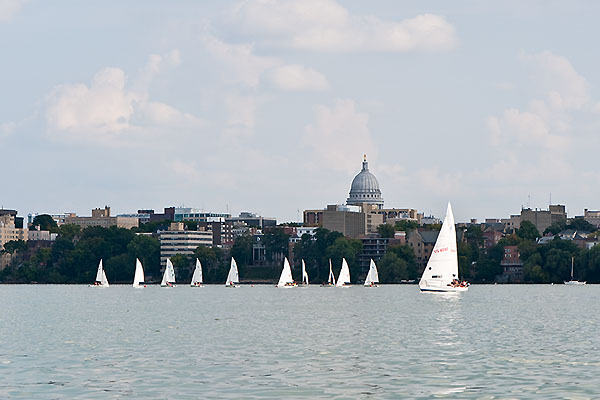 These efforts are all part of an overarching goal the Department of Natural Resources has for the Wisconsin water supply. “We have some performance measures and we’ve mapped the nitrate levels of water systems across the state, and we can manage nitrogen and phosphorous and other causes of pollution together, and that is why groundwater doesn’t always match surface water,” Vollbrecht said. Additionally, the department has mapped watersheds. Their goal is to not have any increase in the percent of watersheds with water systems over five milligrams per liter. The department typically has 95% of water systems meeting goals. The issue they faced in the past few years has been when rain follows a drought. This has caused nitrates to be pushed up the public water systems. However, this issue is local and not all Wisconsin water systems levels are the same. The city of Waupaca is an example of a success story when it comes to the nitrate level issue. 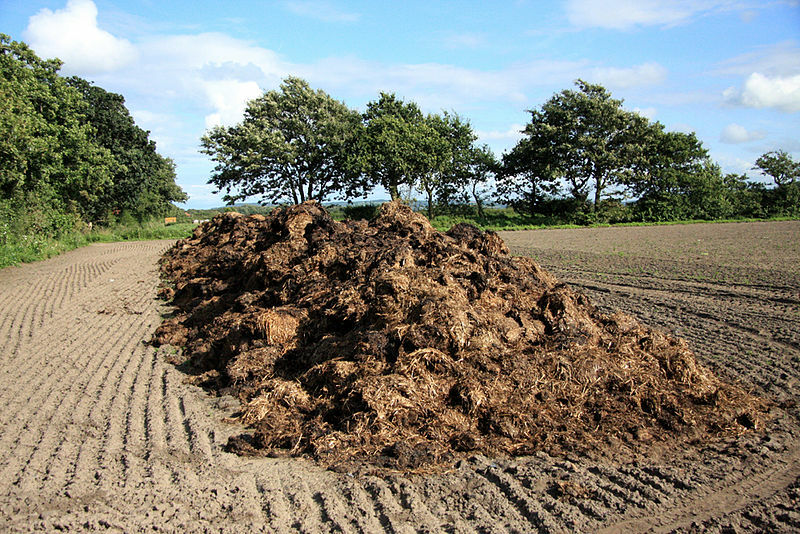 John Edlebeck, Director of Public Works and city engineer for the city of Waupaca, has taken on the philosophy of attempting to minimize the amount of nitrogen fertilizer that is planted in the cornfields or in the crops. Edlebeck has had to work with farmers to help decrease these rising nitrate levels in the city’s drinking water supply. However, the conversation has not always been easy. He has had to strike deals with farmers giving them incentive to reduce the amount of nitrogen fertilizer they use in their soil. The City of Waupaca reached an agreement with two farmers in the area in which the city pays the farmer $25 an acre or $12.50 an acre, for lower demanding nitrogen crops. “This $25 an acre makes the farmers put in soybeans or alfalfa, something other than corn, which is higher nitrogen demanding,” Edlebeck said. Rainfall after extended dry periods has also proved to be a problem. Due to the sandy nature of Wisconsin soil, once rainfall occurs the nitrogen fertilizer is washed away and farmers are forced to re-apply, increasing the amount of fertilizer used. The City has hired a crop consultant to help diminish these high nitrate levels, and has worked with farmers on how they apply their nitrogen fertilizer. 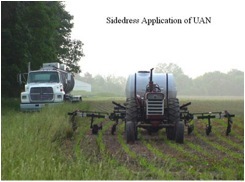 Sidedressing is a farming practice that has helped reduce the amount of fertilizer used. These changes in practices not only help the health standard of the drinking water, but also help the farmers financially. The cost for farmers to fertilize is substantial. “Working with the farmers reduces their risk of losing all that money in fertilizer application, and also meets our objective of trying to minimize the amount of nitrogen fertilizer that’s possibly bypassing the plants going right to the drinking water,” Edlebeck said. These combined efforts have been able to lower the system’s nitrate levels from surpassing 10 to about 7 or 8-milligrams of nitrate per liter. “There is still work to be done, but we’ll get there,” Edlebeck said.